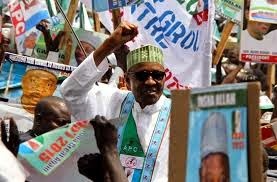 Buhari wins APC presidential primaries. Former Head of State and retired major general Muhammad Buhari who had 3,430 votes has reportedly won former vice president Atiku Abubakar who had 954 votes, current Governor of Kano State Rabiu Kwankwaso had 974 votes, current governor of Imo State Governor Rochas Okorocha had 624 votes, and the publisher of Leadership newspapers Sam Nda-Isaiah had 10 votes, to win the APC presidential Primary. 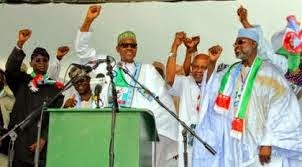 Buhari is to face president Jonathan at the 2015 presidential election to be held in February 2015. It was free and fiar, it wasn't suprising who the winner eventually was, Atiku himself congratulated Buhari.